Lawmakers gave first-round approval Jan. 24 to a bill that would expand eligibility for military honor license plates. Active duty service people and honorably discharged veterans currently are eligible to purchase a military honor license plate. LB45, introduced by Syracuse Sen. Dan Watermeier, would extend eligibility for the license plates to people who serve or have served on reserve duty. Reservists serving in the United States Navy, Marine Corps, Coast Guard, Air Force and Army all would be eligible under LB45. A trust could purchase a military honor license plate if a designated beneficiary of that trust is eligible to receive the plate, under the bill. Watermeier said several veterans were surprised to learn they were ineligible for the plates despite their years of service. “I talked to a veteran with a service-connected injury who was surprised when he found out he didn’t qualify under current law,” he said, adding that current law requires a service member to have been federalized to qualify. 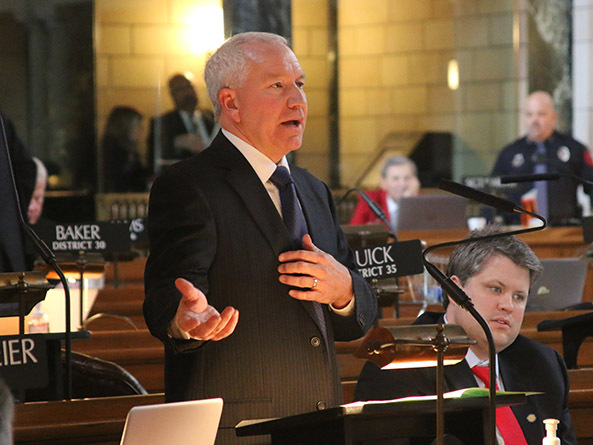 Omaha Sen. John McCollister introduced an amendment, adopted 44-0, that incorporated provisions of his LB419. As amended, current and former commissioned officers of the United States Public Health Service or National Oceanic and Atmospheric Administration also would be eligible for the military honor license plates. “They serve, they took the same oath and many of them have served deployments,” McCollister said. 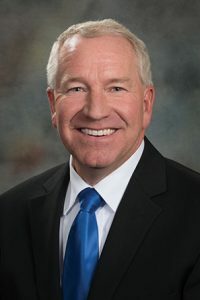 Columbus Sen. Paul Schumacher raised concerns during debate Jan. 23 that the bill would allow the sale of honor plates to designated trust beneficiaries. A trust could purchase honor plates for multiple cars, driven by multiple beneficiaries, as long as one of the beneficiaries is an eligible service member, he said. Sen. Bob Krist of Omaha agreed with Schumacher’s interpretation. He said the honor conveyed by a military honor license plate should be reserved only for those eligible. Watermeier later introduced an amendment to remove the language authorizing a trust to purchase a military honor plate and it was adopted 34-2. Senators then advanced the bill to select file on a 40-0 vote.